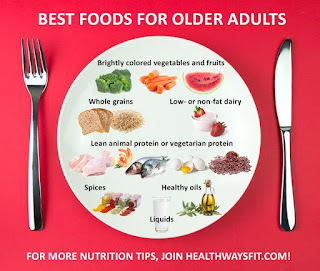 This is a blog site that will speak to the health and fitness of senior citizens and also those just beginning a regular fitness program. It will feature exercises and their proper forms. Also, various conditions that an older adult may experience along with ways that I have dealt with them. We will also mention super foods and how they benefit your body. Apple Cider Vinegar is considered one of the super foods that can be very beneficial to our health and fitness if taken in the right way. It has been around for ages and is still lauded by many health advocates. I have taken it off and on for close to 10 years, especially during the 2 year period that I practiced being a vegetarian. I found that there were several apple cider vinegar benefits that helps with your health and fitness. My apple cider vinegar cocktail contained one table spoon of vinegar in an 8 ounce glass of water with 1/2 teaspoon of honey to make the taste more palatable. You must realize that apple cider vinegar is contains acetic acid in its natural state but when taken into the body it becomes alkaline. Your body is in its healthiest state when its ph is slightly alkaline. Apple cider vinegar can assist the body in attaining this alkaline state. To get the most out of your vinegar you should purchase the organic, unfiltered type. It has suspended particles floating inside called "the mother". This is thought to be, by many, to give the vinegar its unique benefits. These are bits of apples that has been crushed during the process of making the vinegar. 1. Is great for dieting - It makes you feel full after drinking and only contains about 3 calories per tablespoon. 2. Can be used as an antiseptic - Cleans wounds and prevents the growth of pathogens. Can also treat nail fungus and ear infections. 3, Fights diabetes - It keeps blood sugar levels normal or may lower high blood sugar. Everyone should be conscious of their blood sugar levels to keep them in acceptable ranges. Check with your doctor if your blood sugar is high to see if its ok to take apple cider vinegar. 4. Is a natural cleaner - It has been used to clean table tops. If washing dishes by hand, a dash of apple cider vinegar help to clean them. 5. May improve heart health - Several risk factors of heart disease may lowered. High blood cholesterol and triglycerides are 2 of them. Others include smoking, diabetes etc. 6. There are some studies showing that consuming apple cider vinegar may have some affect on preventing some cancers. You should dilute it and use a straw, Also wash your mouth out with plain water. If you don't it will very quickly thin the enamel on your teeth. It cannot be replaced. Hot and cold foods will be painful to your teeth. You must also make sure that you don't consume to much as it can cause digestive problems as well as bone loss. Although this is a very good product, you must be cautious when taking it. 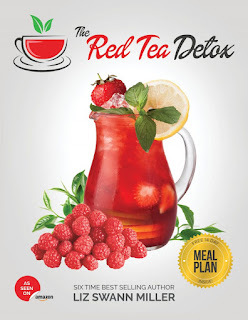 Try red tea detox to start your dieting. Get it here. Osteoporosis is a disease that results in one losing bone mass or the bone weakens to the point where they are easily broken. This thinning of bone comes from a depletion of calcium and protein in the bones. Unless you have a bone density test, as you get older you won't recognize this loss of bone density. For this reason it is called the silent disease. It will manifest itself if you fall and a hip or arm bone is broken. Have you ever noticed a once healthy, strong looking person begin to shrivel up as they get older. The once athletic body is not there any more. More than likely this is because of osteoporosis. 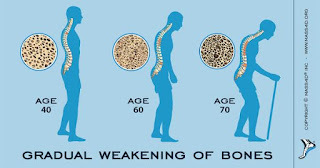 In most cases we see osteoporosis as the disease of the aged, although it can occur at any stage of life. It is most common in older adults, especially older women. Preferred Weight TrainingWeight training gives seniors a youthful appearance, is a general statement that is supported by mostly all recognized fitness trainers. Personally, I don't think that one ever gets to old for weight training. As long as you are working with weights that you can control, there is a very low risk of injury. 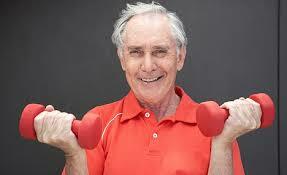 Preventing injury is the primary reasons that older adults shy away from weights. As I have stated before I prefer a weight program that emphasizes lighter weights and more repetitions. In fact whatever weight that is being used, repetitions should continue until failure (losing control of the weights). This way of exercising continues to force blood into the targeted muscles. Blood vessels and targeted muscle sizes are increased.